The Masterclass comprises fantastic coaching for 5 half days or 5 full days, depending on the course offered, allowing you to practice new found skills discovered within the session. Every evening there is a comprehensive video debrief, with all the coaches using the very latest digital technology to analyse your progress and give you clearly defined goals for the following day. At the start of every course there is an equipment presentation delivered by Mark Jones. 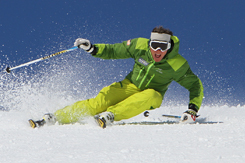 As well as being a world class ski coach, Mark manages and runs all the equipment testing for Ski and Board magazine, one of the UK's largest ski mags. He is in a unique position to give the latest advice while giving you an inside track on latest developments within the ski hardware industry. At the end of the course you will receive a full action plan on areas within your skiing to develop that will allow you to achieve your long term goals. This unique course is offered as a full package with half board in the Chalet Fjord, a long established favourite in the centre of Val d'Isere. This comfortable chalet-hotel has a brightly decorated interior with a newly revamped lounge. All bedrooms have ensuite bathroom and most have balcony with mountain views. A bright and pleasant dining room has a welcoming chalet atmosphere with comfy seating and an open hearth, Satellite TV, DVD's and board games. The Fjord also benefits from a sauna to help ease those tired legs after a full day on the mountain. Flights from Manchester or Gatwick are included with transfers to resort, breakfast, afternoon tea, 3 course evening meal and wine, chalet hosts, chalet service, bed linen and towels. Once you have made a deposit booking on this website, you will be contacted by the accommodation and travel provider who will arrange the rest of your package and the remainder of the payment. Please note that residential course dates are listed Sunday to Sunday in line with the Tour Operator flights. Training takes place Monday - Friday, leaving you Saturday to chill out. Please also note that there is a supplement of £300.00 for those people travelling alone unless someone else is willing to share a room. 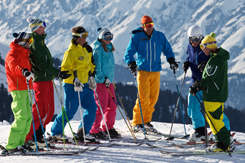 This course is designed for people who have done their BASI Level 2 and are preparing for the BASI Level 3 or for recreational skiers who already have a high level of skiing ability. 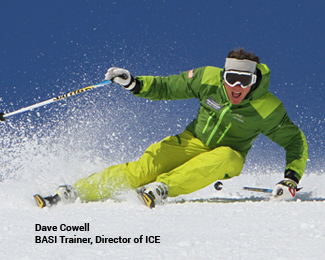 The course is delivered exclusively by ICE coaches who are trainers for BASI and know exactly what is needed to get your skiing to the next level, whether it is BASI level 3, or to simply get perfectly prepared for the winter. 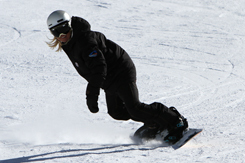 Coaching is half days, everyday from Monday to Friday, with a strong emphasis on developing key skills, including carving, short turns, bumps and and accurate skiing in difficult conditions. To get perfectly in tune with your skiing, or to be sharp enough to pass your BASI Level 3 course, there is no better option. 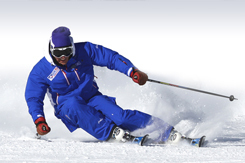 It is recommended that this course is attended by those training for their BASI Level 2, however you do not have to be involved in the BASI system to attend and if you are a good skier this could be a performance course to push your level.